Hull City and Aston Villa meet at Kingston Communications Stadium, in a match for the 39th round of the Championship. These teams have tied (1‑1) in the last head‑to‑head for this edition of the league, played on 05‑08‑2017. The recent head‑to‑head record favours the away team, since they have a record of 2 wins, 1 draw and 1 loss in the last 4 matches. The home advantage may play an important role in this match , since Hull City presents significant differences between home and away results. The home team is currently in the 18th position of the league, with 39 points won, after 9 wins, 12 draws and 17 losses. In the penultimate match, they won in an away match against Ipswich Town, by (0‑3). In the last match, they lost in an away match against Birmingham City, by (3‑0). This is a team that usually makes good use of the home advantage, stronger with the help of its supporters, since in the last 30 matches they register 4 wins, 2 draws and 9 losses in away matches, with 12 goals scored and 22 conceded; against 5 wins, 6 draws and 4 losses at their stadium, with 27 goals scored and 23 conceded. 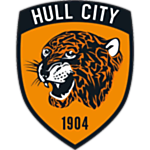 In the last 10 home league matches Hull City has a record of 3 wins, 5 draws and 2 losses, so they have won 14 points out of 30 possible. Their offense has scored frequently, since they have scored goals in 8 of the last 10 matches for this competition. In their home matches there is a tendency for goals, since 13 of the last 19 matches for this competition have ended with Over 2,5 goals. In 38 matches for this competition, they have conceded the first goal 18 times and have only turned the score around in 1. Hull City comes unmotivated for this match after having returned to defeats when they lost away against Birmingham, by 3-0. In this home match, the coach Nigel Adkins must enter the field with a cautious strategy, with the low lines, exploring only the counterattack. However, the home team has quality to take the match in some moments. Jarrod Bowen is the best scorer of the home team with 13 scored goals. It seems that the coach won’t count on Odubajo and Kingsley, both injured. The away team is currently in the 4th position of the league, with 69 points won, after 20 wins, 9 draws and 9 losses. In the penultimate match, they lost in a home match against Queens Park Rangers, by (1‑3). In the last match, they lost in an away match against Bolton Wanderers, by (1‑0). This is a team that usually maintains its competitive level in home and away matches, since in the last 30 matches they register 8 wins, 2 draws and 5 losses in away matches, with 20 goals scored and 13 conceded; against 9 wins, 3 draws and 3 losses at their stadium, with 30 goals scored and 17 conceded. In the last 10 away league matches Aston Villa has a record of 5 wins, 1 draw and 4 losses, so they have won 16 points out of 30 possible. In their away league matches the most frequent result at half‑time was the 0‑0 (7 out of 19 matches). Defensive consistency hasn’t been their best feature, as they have conceded goals in 7 of the last 10 matches, but their offense has scored consistently, as they have scored goals in 8 of the last 10 matches for this competition. In 38 matches for this competition, they have conceded the first goal 14 times and have only turned the score around in 2. In the last 19 away matches for this competition there is 1 period that stands out: they have conceded 7 of their 19 goals between minutes (46'‑60'). 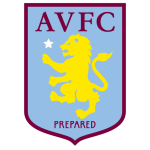 Aston Villa comes for this match after a 1-0 defeat against Bolton, adding to the second followed defeat in this competition. Despite this bad stage, the coach Steve Bruce must keep the team in 4-2-3-1 to benefit from ball possession and successive attacks through the flanks: Grealish, who plays as number 10, however, appears very well in finishing zones. It’s important to note that Albert Adomah is Aston Villa's top scorer with 14 goals. For this match, the coach won’t count on Jonathan Kodjia due to injury. The ''Handicap 0 of Aston Villa'' is the market we recommend for this match. No doubt the visiting team is going through a better time compared to Hull City, and more. The visiting team has shown consistency in their playing style, especially in the defensive sector, and it’s very possible that there will be no goals in this match. In this way, and for a very positive moment, risking in favor of Aston Villa to win is an excellent option, but we will protect ourselves in a possible tie.